Last year, Elisabeth at You Can’t Call It “It” noted that we’d moved beyond hipster baby names to hickster baby names. Think Jethro and Ethel, Beulah and Zeke. Hang out on a city playground, and you’ll hear kids answering to Hank and Daisy, names that once would have been at home down on the farm, not in the middle of the metropolis. What explains our affection for good ol’ boy baby names? Back in 1975, Gy Waldron – a native of Lexington, Kentucky, born Gyneth Markley Waldron – was the writer/director of a forgettable B-movie called Moonrunners. A few years later, the concept was sanitized for prime time television and reborn as the smash hit series The Dukes of Hazzard. 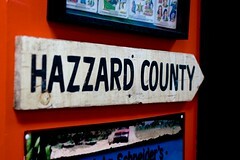 Hazzard County was pure fiction, and the names worn by the characters were style misfits when the show debuted in 1979. Some of them – Cletus, Enos, Cooter, I’m looking at you – remain stuck in the sticks. But a surprising number of The Dukes of Hazzard names are at the height of fashion a quarter century after the series ended. The Duke Boys weren’t the first to bring this style to the television. Westerns have long been a small screen staple, and the cast of The Beverly Hillbillies was rich with possibilities: Elly May and Pearl, Jed and Jethro. But the current generation of parents grew up with Bo and Luke Duke outwitting the corrupt Boss Hogg in re-run. Over the series’ eight seasons, many a visitor to Hazzard answered to a great name. Some of these appellations were worn by bit characters and bad guys, naturally, but they’re stylish nonetheless. Abel – Sure, he’s Biblical. But so is Luke. Avery – Some of the names worn by Southern men are now topping the charts – for girls. Beauregard – The full name of main character Bo Duke. Brodie – Spelled Brody, this name ranked #999 in 1979. He’s be on the rise ever since. Cale – Guest star and NASCAR legend Cale Yarborough played himself in two separate seasons. Yarborough’s birth name was William Caleb. In 1979, Cale ranked #900. Cash – Unranked in 1979, white hot in 2012. Cowan – Cowan isn’t actually catching on, but I’d guess he’s pronounced exactly like the popular – and ever so controversial – Cohen. Flint – Part of me finds Flint an implausible choice for a son. But there’s Finn and Flynn, so why not Flint? Jacks – The ancestor of Jax? 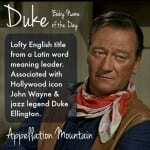 Luke – The other Duke cousin, Bo’s constant companion. The Biblical Luke has been in steady use over the years. Luke Skywalker arrived in 1979, boosting the name. He ranked #110 when the series debuted. Today, he’s a solidly established pick for a son. Homer – Is he a classical reference or the bumbling Simpsons patriarch? His appeal probably has more to do with his hickster status. Hudson – Unranked in 1979, and #112 in 2011, this New York City river was the given name of a visitor to Hazzard County. Hughie – Okay, Hughie and Huey aren’t style stars. But Hugo is very on trend. Mason – A character called Mason Dixon was on the show back in the day, when Mason ranked a frosty #455. Today he’s #2 – and poised to overtake the top spot. Max – Add up all the popular ways to get to Max, and no wonder he’s heard everywhere today. 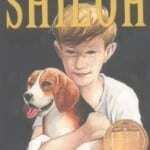 Simon – He’s Biblical, brainy, maybe a little bit British. And back when he was in style limbo, Simon made an appearance in Hazzard County. Anna Lisa – This was a double name on the show, but isn’t she very close to the quickly rising Anneliese? Delilah – Doesn’t she seem perfectly suited to a Southern belle? Dixie – Okay, Dixie is Daisy’s Jeep, not exactly a character. Lucinda – Already vaguely folk-country in a very cool way, thanks to Lucinda Williams. 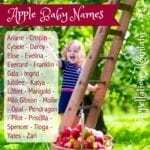 Lulu – There are oodles of formal options to get to this charming nickname. Maybelle – Mabel is sweetly vintage. Maybelle is definitely hickster. Rose Ellen – Southern doubles were big on the show, ranging from the expected – Mary Kay, Mary Lou, Sue Ann – the less conventional, like Mandy Jo. Rose Ellen is easily my favorite. Trixie – Before there was Knuffle Bunny, Trixie was at home in the rural South, not Park Slope. I love Beauregard/Beaumont/Beau/Bo, Cash, Coy, Garrett, Jack, Jude, Milo, Otis, Rosco, Simon, Clara, Daisy, Dorothy, Emma, Floralee, Lulu, Holly, Mabel/Maybelle, Molly, Ruby, and Sadie. I’ll also note that I went to school with a Flint, and a Jeb. And my brother played ball with a Rocky. A good portion of my list could definitely be called hickster. Even though my family is from the South the names that’ve graced our birth certificates don’t really illustrate that fact. My husband’s family on the other hand… If it’s not double names on one side it’s ends-in-ene names on the other (Paulene, Florene, Arlene, Darlene, etc.). I lurve it. Too bad my husband’s not as keen about the -ene. Jolene is one of my favorite names that quickly got the veto. I fully intend to carry on the double name tradition though. those are some good names. I like Jolene (Pauline, Arlene, Charlene, and several others too). But also the names from Hart of Dixie. Never watched the show, but the names are good! Well, minus the extra t on Cricket. Aww, as the mama of a Leo & a Simon, I suppose I have to admit I was a huge fan of the series (I was between 9 & 13 when it was on, JSYK)! I did think about Marguerite/Daisy for Josephine/Josie. In the end it just wasn’t ‘her’. I also am a huge fan of Trixie, from Belden and ‘Speed Racer’ to ‘The Honeymooners’ in reruns. Yep, I firmly love Trixie! I love love love the name Emery for a boy. I am another big fan of the Southern double name. In fact my 5 month old daughter is named Martha Rose and we call her both names. They are both family names and we felt it married the English sound of our last name with some good old Southern charm. To me, Cowan is said with a KOW sound rather than a KOH sound. But I’ve noticed quite a few Jewish families have Anglicised their surname from Cohen to Cowan. I’m not sure whether that de-controverses it or not. I grew up with a lot of these names. Then again, I grew up in the foothills of the Appalachians. I must say, I have a soft spot for all of them. My best friend is considering a double first for her daughter that comes off as rather hickster. It’s perfect for her family, though. One note: In my former neck of the woods, Cowan is pronounced cow (the animal)-an. And I totally think Beaulah needs a comeback, and Homer is so much more than just a Simpson! YES! I agree completely! I’m an avid defender of Homer myself. Has Homer ever been profiled as a Name of the Day? Thanks! I second Homer for NotD! I’ve been thinking about it, and I think, were it not for the Simpsons, Homer would be seeing a rise in popularity right now. 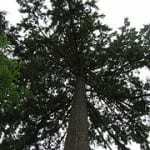 It has the long o so popular, the -er ending, and literary ties. Sort of if Holden and Archer had a baby. *Beulah. Really need to start proofreading before I hit submit! this is how I pronounce Cowan also. similar to the second part of the name McGowan, except a C instead of G.
wow, quite a few. My friends and I and my whole family loved this show. No doubt influenced how I see some of the names. I had more of a crush on Luke than Bo, though. And wanted an uncle that looked like Santa Claus. I think Beau can stand on its on but there is something charming about Beauregard. I love, love, love double names. Mandy Jo? Bring it on! I have known lots of Beaus from my hometown in the South! It definitely works as a stand-alone. Ps never a dukes fan, although I saw the appeal of Bo. Yeah Faith Margaret doesn’t sound as Southern double as say Maggie Fay might, it’s doubleness seems fancier. And I am a huge fan of the southern double. With my girls I went for a short englishy first plus a middle that could serve as a southern double, to honor a lot of their heritage. I think some of those names were “out of fashion” in the “Debbie” and “Terry” seventies, but weren’t necessarily hick, and now, they are coming back, not as “hick” names in style, but as Downton Abbey era names back in style. Pearl, Simon, Henry, Clara, Helen, Lucinda? These are all names that would not be out of place in an Edith Wharton novel about rich New Yorkers. And if “Faith Margaret” is hick, we’re in trouble. That’s a nice point about Faith Margaret! 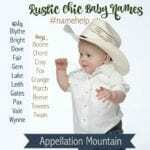 I didn’t realize how “Dukes of Hazzard” my taste in names is.